Need your nails done on the same day? Give us a call! 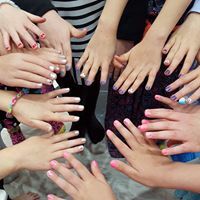 From Gel to Acrylic Nails, Waxing, Eyebrow Tinting, Facials to Eyelash Extensions the skilled staff at Angelic Nails & Spa are available seven days a week and have experience from all over Canada. Walk-ins welcomed!